Teen grief will exhibit itself differently than either younger children or adults. They will have their own way of coping that doesn’t completely resemble either group. It may appear as if they do not care and are not hurting. Realize this is far from true. Their way of managing is just different, not wrong. They may want to play their music loud and hang out with their friends more. 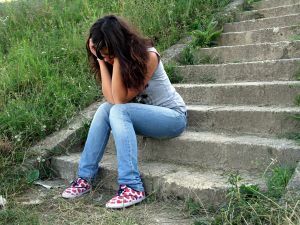 Not only are teens struggling through grief at this time, they are also still trying to grow through their normal teenage stages – like independence. The book below could be beneficial to help your teen during this difficult time. They are being torn at least in two ways – they want to be independent - yet they need you, just as we all need our family and friends at this time. So this bereavement is an especially confusing and difficult time for the teenager.